It’s that time of year again! The IMATS (International Makeup Artist Trade Show) is in Toronto November 22nd and 23rd. I have always heard about the two day event, but have never attended. As a part time model, I was told by several make up artists that I have worked with to check it out. So I did! Here are some things I think you need to know before going, from an amateur “makeup lover” perspective. 1. MAC Cosmetics, NARS and Makeup Forever are not the only brands that are there!!! They may have had the longest lines at the event, but there are smaller companies worth checking out. MAC was offering a 20% discount to ALL attendees, but if you have a pro card (these card holders get 40%), then it’s not worth it for you. I didn’t hang around the Makeup Forever booth very much at all due to overcrowding, but to my knowledge they were offering 30% off. Their line was a mess and makeup lovers were shoving each other in every direction. That was a huge turn off. NARS was offering $10 off a $75 purchase, but their items were more expensive than their usual retail value. I’ll go to Sephora and collect the beauty points, thanks! 2. Check out the brands from the US & the UK! Just because you may not have heard of them, doesn’t mean they don’t have great products. 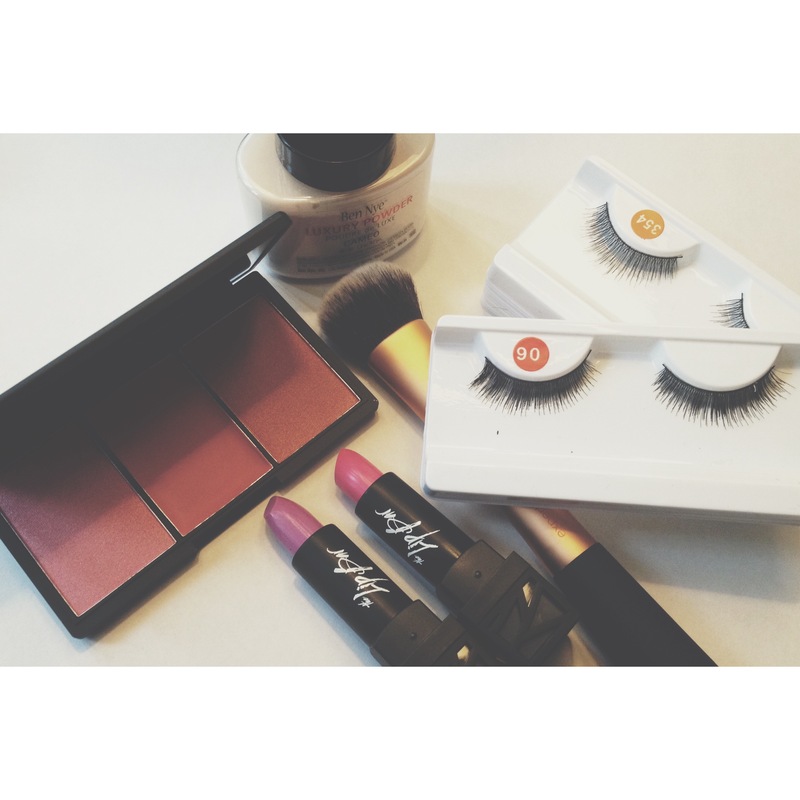 I had never heard of Make-Up Mansion, but they carried brands NYX, Sleek Makeup, E.L.F Cosmetics and BH Cosmetics. They turned out to be one of my favourite exhibitors. Their products were affordable and I walked away with a blush pallet – Sleek Makeup’s “pink lemonade 360” BY3 – for $18.50. I can’t wait to use it! 3. Real Technique was another one of my favourite booths. Their products were fairly priced and they had Youtuber’s”Pixiwoo” stop by to take fan photos. They ran out of stock in about two hours time, but were able to restock within the hour. Props to them! 4. Another cool exhibitor was The Lip Bar. Select lipsticks were only $5!!!! There were only a few though, so I lucked out. They also had some good deals; 2 lipsticks for $30 and 5 for $50. Online, their products start at about $18. So that was a nice deal. 5. I recently fell in love with false eyelashes. Weird, I know. Having long ones by nature, it took me a while to get into them. CiCi Fashion Brush had plastic ones for $1 each. YES, $1!!!! If you bought 10, they gave you 2 pairs free. Needless to say, I stalked up. If you’re not a fan of fake plastic lashes, check out Velour Mink Lashes. They were selling pairs for $20 each, but are reusable up to 30 times. Some of the products I purchased this year. Follow me on instagram for more @kelseybelleTO.